Tranquilly positioned at the rear of a quiet complex of only six, this two bedroom villa is sure to attract investors and new buyers. An elevated aspect delivers expansive vistas capturing the greenery surrounding the nearby Steele Creek Trail. Entry reveals a spacious lounge upon polished timber floorboards, well serviced by a neat kitchen with meals area. Completing well scaled bedrooms are built-in wardrobes which share a tidy bathroom inclusive of laundry function. 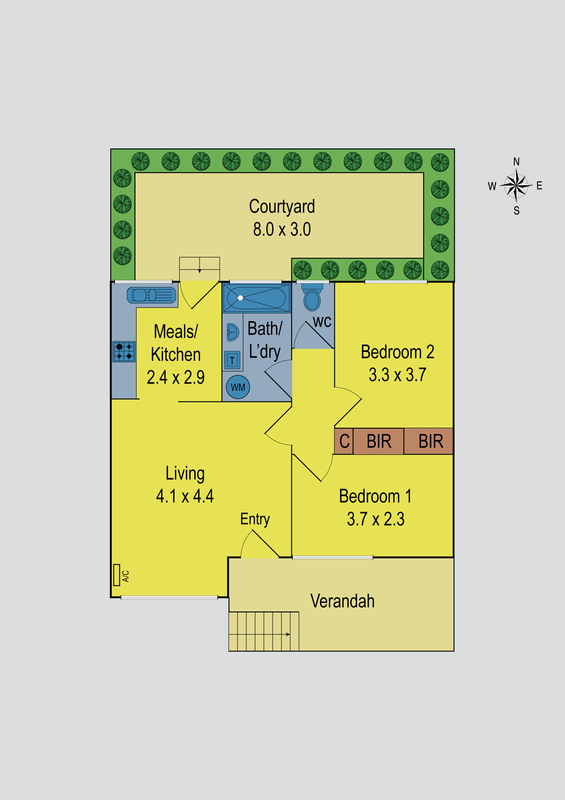 There’s also split system air conditioning, a north facing courtyard and a carport. Ideal placement ensures Keilor Road shopping precinct, PEGS (Keilor East campus), Niddrie Primary School, freeways and public transport and all within easy reach.